Football and good food seem to go hand in hand. I usually buy savory dips or spicy wings for football games and make the dessert myself. I enjoy making sweet treats to share with my loved ones. 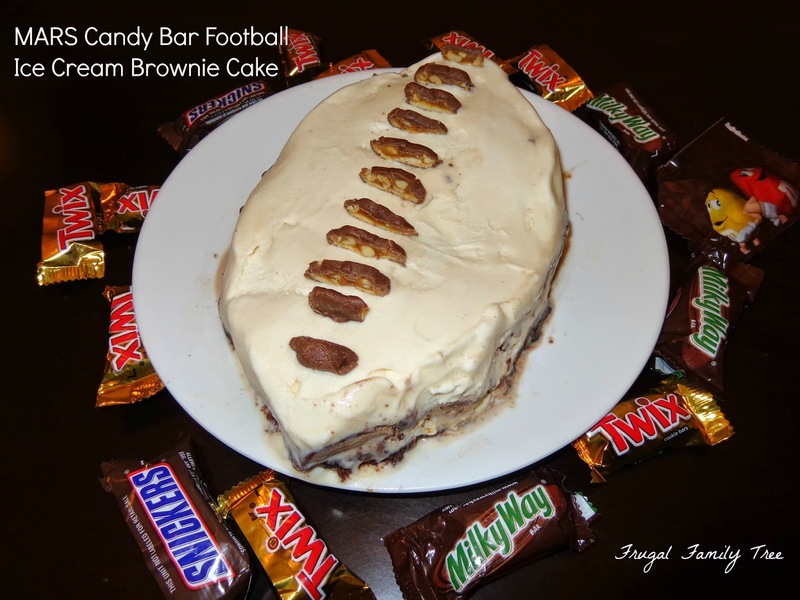 For this football gathering I made MARS Chocolate Candy Bar Football Ice Cream Brownie Cake. First make brownies according to the instructions on the boxed mix you purchased. After brownies bake allow them to cool before making ice cream cake. 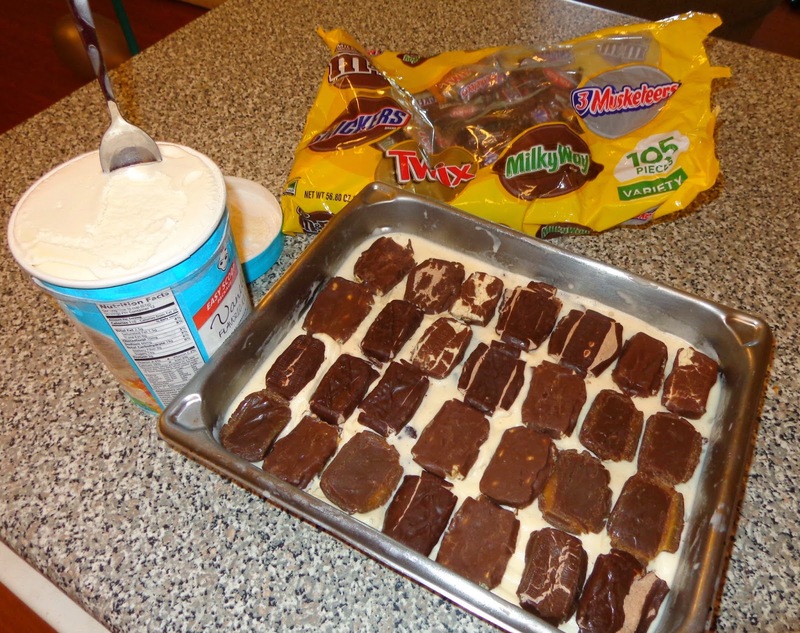 In a rectangle or square pan layer the ice cream, brownies and MARS Chocolate candy bars, freezing the ice cream between the layers for 10 minutes to set. Top layer should end with vanilla ice cream. For the fun size candy bars I smashed them first to make them easier to bite in the cake. I included Milky Way, 3 Musketeer and SNICKERS® bars in my cake, you can select the ones you enjoy from the 105-count variety bag. After letting the whole cake freeze use a knife to cut out the shape of a football, removing the outside ice cream brownie cake from the sides first making it easier to take the football shape out of the pan. Place the football shaped cake on a plate. Use the full size SNICKERS® to cut into shape of the football threads and add to top of the cake, freeze for one more 15 minute interval. 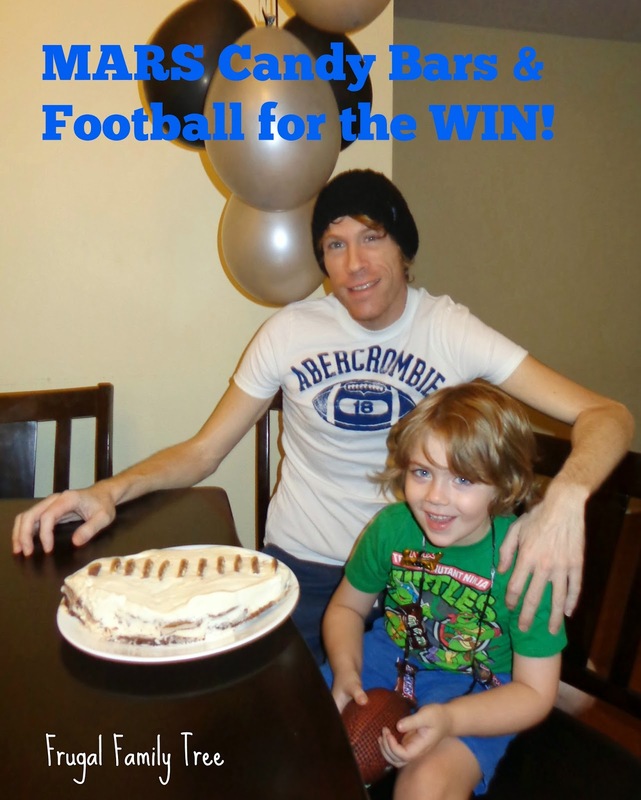 My husband, son and I loved the MARS Candy Bar Football Ice Cream Brownie Cake. I will be making this again next time we host a football party for our family. You can find the MARS 105-count variety bag and 48 count SNICKERS® at your local Sam's Club. We found our candy aisle near a sampling machine that dispensed candies and it happen to be a sampling day including candy. My son and I were having some serious candy fun! My recipe can be interchangeable with the flavors of the main ingredients. Using blonde brownies and chocolate ice cream or many other combinations would be delicious with the MARS Candy. 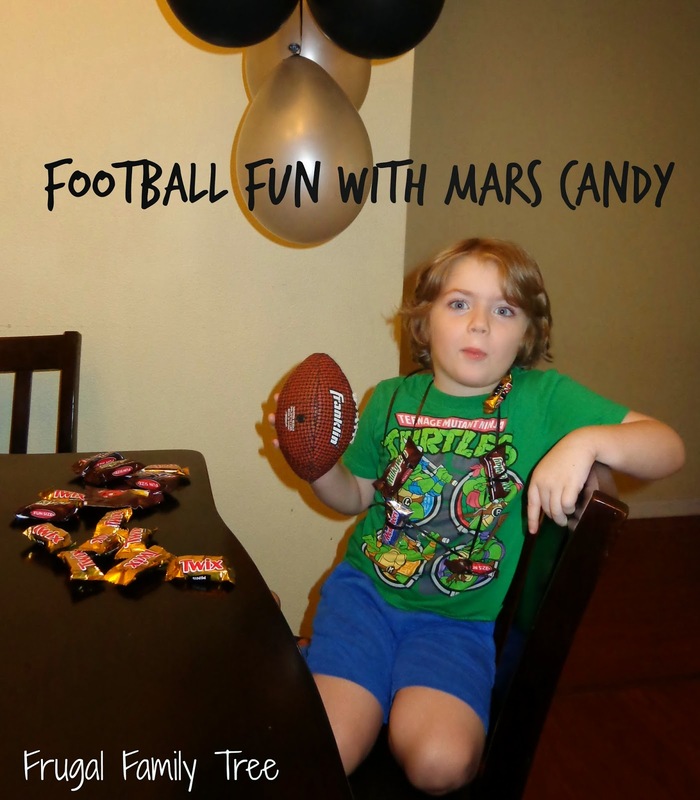 I made a few MARS candy bar necklaces to wear while watching the game for easy snacking.